Office space prices ranging from ₱3000 - ₱15310 per month. Located in the heart of the 24 hectare Cebu IT Park this Class A office building is surrounded by companies that include major corporations that include Microsoft, IBM and Accenture. The center within the building provides office space suitable for requirements from one person up to larger spaces suitable for 50 employees in a variety of layouts to suit your needs. Located within Cebu City IT Park, accessible via bus and car this space is ideal as it is near to banks, eateries, cafes and fast food chains as well as pharmacies and convenience stores. The hustle and bustle of Cebu City IT Park provides occupants with the ultimate place to connect, share, learn, inspired, and grow their businesses. With freelancer-spirited people the freedom in a collaborative co-working environment this space is ideal for startups, freelancers, and small businesses. This iconic eco-conscious building is home to a high-ceiling lobby, sure to impress your clients and guests. The executive offices are fully furnished and equipped with access to a range of great facilities. Set in the heart of the Cebu IT Park, you will be surrounded by some of the most innovative tech companies in the world. This property is located next to Marriot Hotel and just moments from Ayala Shopping Mall. This is a mixed-use development, offering 39 commercial office units and ample parking for clients. A full range of amenities is available. 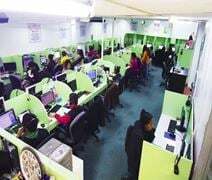 The centre is in Cebu, The centre provides free Wi-Fi, office equipment, lounge & beverage counter, startup business support, 24 hour access, telephone answer and meeting room for your daily office use. The centre is surrounded by cafes and restaurants which can provide you lots of lunch option. There is only one minutes walking distance from the closest bus stop. Mactan-Cebu International Airport is just 30 minutes drive from the centre. This strategically located building in Cebu City is ideal if you are looking to set up a call centre. The business centre provides workstations with all the latest programmes and support as well as security systems for your peace of mind. This brand new building is part of Cebu IT park and has been built specifically for IT-BPO operations. The building is surrounded by well maintained landscape and greenery and brings together top class talent and technology. The centre is in Cebu City, Philippines. The centre is a Grade A building and it provides a lot of amenities such as 24 hour access, 24 hour security, copy and printing facilities, CCTV, IT support, meeting room, board room and high speed Wifi for your daily office use. The centre is surrounded by shopping malls and restaurant which can provide all may need during your working day. Ceres P2P Bus service operates within this area to help with the transportation as well.